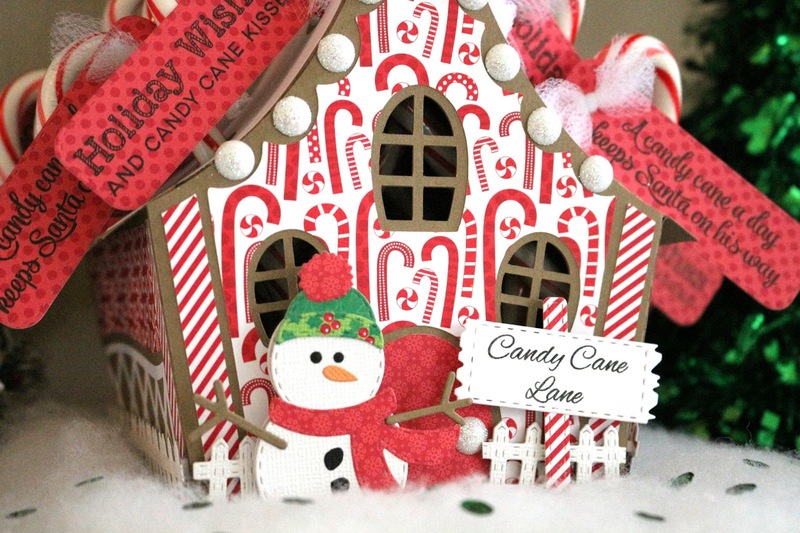 I am so excited to join the Jaded Blossom December Guest Designers. The projects and designers so far have been amazing. I am blown away by the talent. I wanted to create a fun treat for my kids to take to their teachers that they can use again and again. I have a had this cute file from SVG cuts. It is from the Santa's Sweets file. 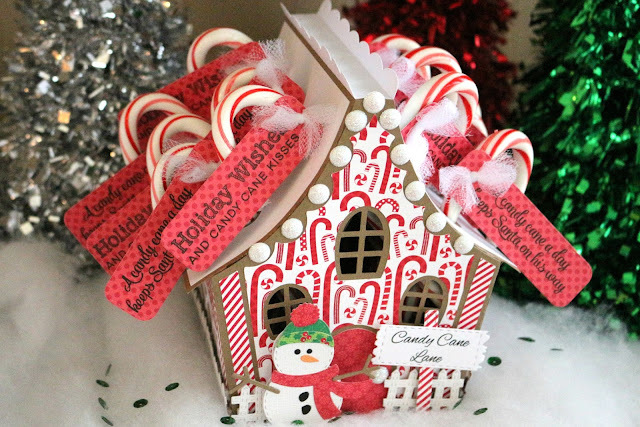 Here's my cute candy cane house. For my project I used the following Jaded Blossom products. I hope you enjoyed my project today. I had a lot of fun making it. Make sure you come back tomorrow for another December Guest Designer project. 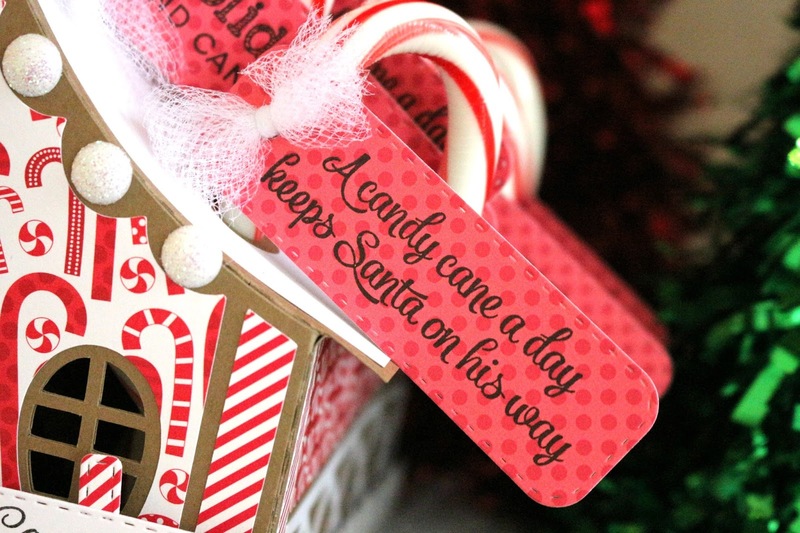 What a great gift for the teacher! this is amazing!!! fantastic work! So so stinkin cute! amazing job! This candy cane/gingerbread house is amazing!!! Amazing!! 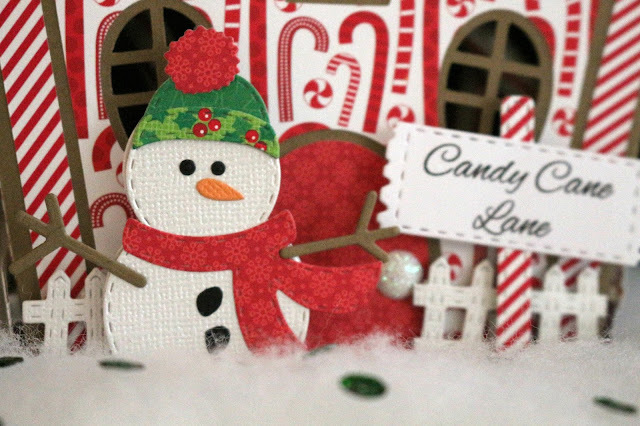 All the details are so fun and love the paper! Super, duper cute!! Way to go Sarah!!! This house is SOOO freaking cute!!!! !